Somehow I forgot to post this upon its release, and didn’t realize until just recently. 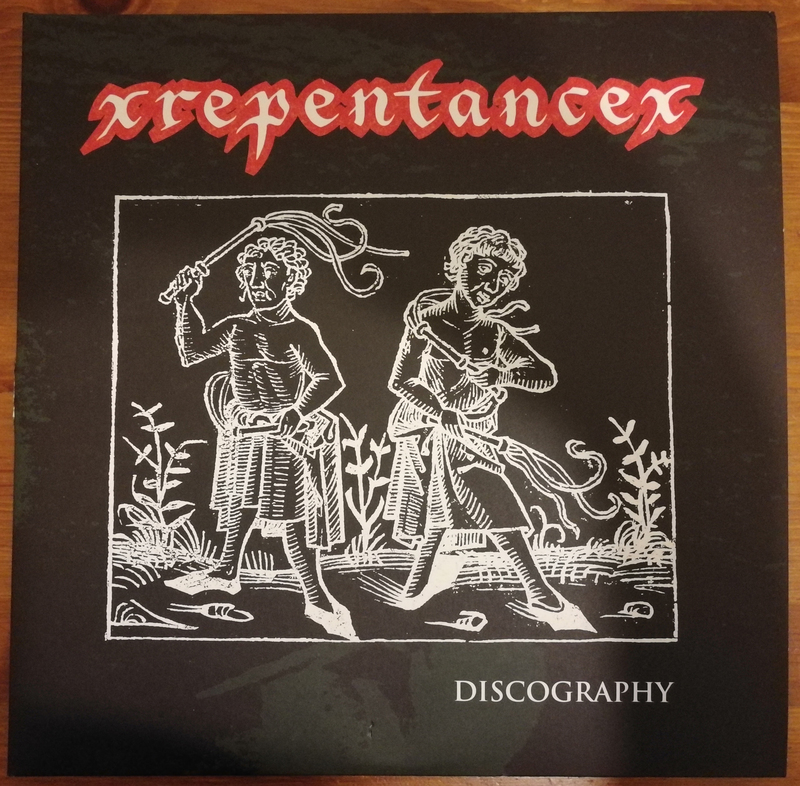 Long overdue, here’s some words on the double LP, gatefold discography of xRepentancex. 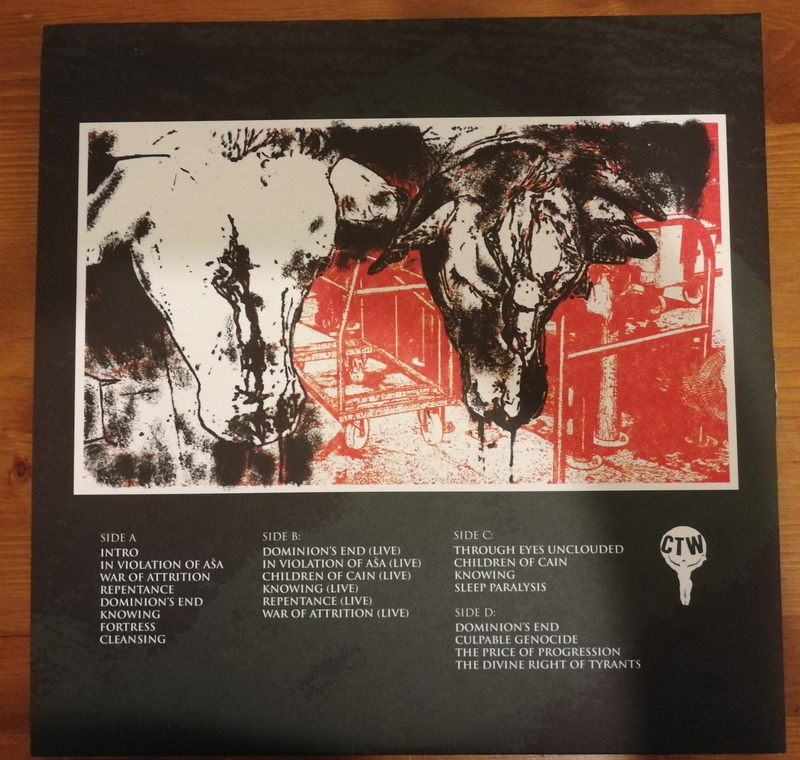 When I was asked to do this, I had already done their LP and second 7″, as well as various merch, so I had some stuff to use as a starting point. 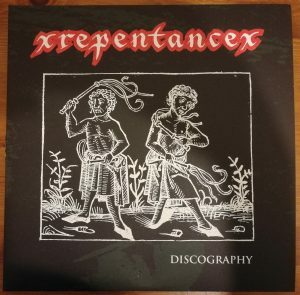 I remember debating back and forth with Pat from the band regarding the front cover image. I liked what it symbolized, but I was leaning towards using it on the back. In the end I am happy it became the front cover, because what I wound up doing for the back cover instead is my favorite part of the whole design. 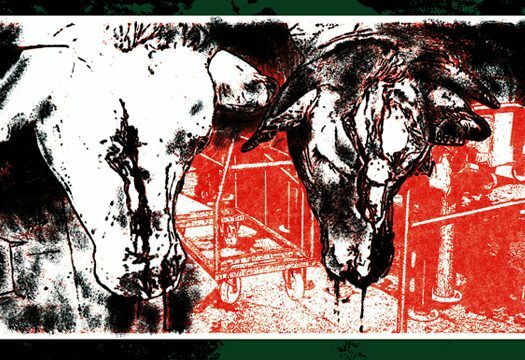 I worked back and forth with different media and scanning techniques and once I saw this result with the slaughtered cows done in black acrylic in the fore-front over the red slaughter house background, I knew I had what I wanted. The inside of the gatefold was more a matter of just deciding what images to use. I stuck to my original idea – definitely not always a good thing, but it worked out well here. I wanted all the small images to tell a story of the band on and off stage. The three Xs on the labels are from a letter Patrick wrote to me, possibly sent along with my copies of their ”The Sickness Of Eden” LP. I love that I used them for this purpose. I had a very personal relationship with this band, which Patrick’s Xs signify well. 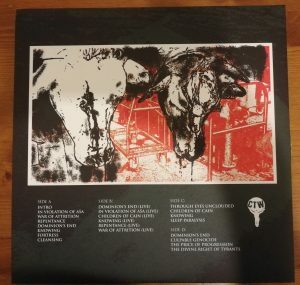 The A-side label is just an image of John drinking some soy milk at a show in Eskilstuna, Sweden. 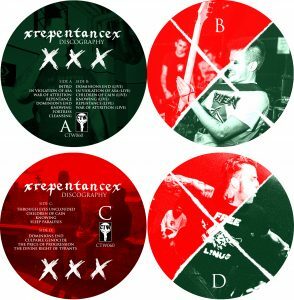 The C-side label is probably one of the most re-made of HC photos, perhaps along with the SSD’s stair storming and the Minor Threat front porch hang-out. Patrick and Andy from the band got this picture taken during a trip to Seattle. Perhaps I should have credited Kevin Chaffey (No Reply/Stand And Fight) for the photo, sorry dude! 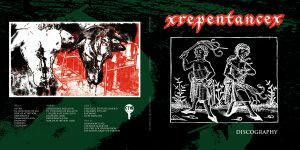 Carry The Weight Records is no more, and to get this you’ll need to pay up on discogs.